I had dealt with Tom Casey at my previous house and had already spoken to him and received a quote from him prior to me finding your site which by the way I did find useful. There are a number of factors re choosing a solar system and the number one factor for me is trust ... I know I can trust Tom to do a good job and I know that he knows what he's talking about. That's not to say that the other companies you sent my are not good / products not good etc, and despite that at least one other company was at least $1,000 cheaper, I decided to stick with the company I had previous dealings with. I went back to Tom armed with the information I had from others about different brands etc and was satisfied that what he offered was what we needed. Case Statwide Solar are local - listened to us about the system and size we wanted - named the day of installation 3 weeks ahead and were here on the day. The system is being installed today as I write this review, so I can't comment on that just yet. 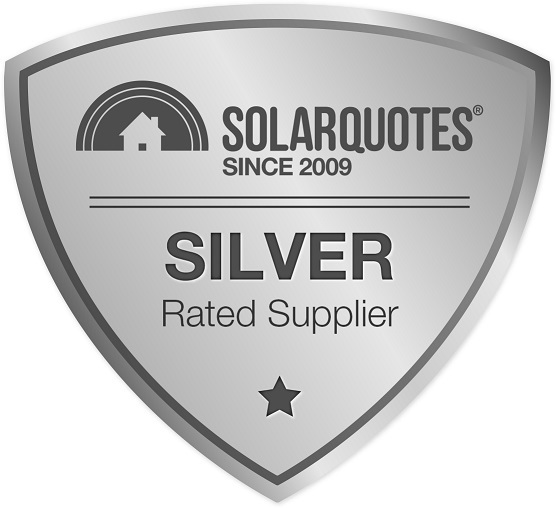 However the sales process was very simple and Chris from Case Statewide Solar was very patient on the phone and provided all the information I needed to make my choice. He followed up when he said he would but never pushed too hard. Installed on date they said they would. Complete install with meter changeover took 2 days. Still waiting for them to come back and change the meter in the box so I can get a few cents per kWh I feed back into the grid. I think it has been installed even though they hadn't yet got the authority to install. They were the only company that contacted me through your service by the way. We apologise for your meter taking longer than normal, it was due to a shortage of meters at the time. The system was installed with a Permission to Connect from Essential Energy. Got a quote from a company that advertises 5kw systems for $4500 fully installed. Once I rang the quote grew to $8000 using inferior products. Then they pressured you to sign that day for the "special" price of $5500. When I requested the use of quality panels and inverter the price grew to $7000 quickly. If it seems to good to be true it probably is not true. Hope the system is working well. Solar is a great concept but to work in your favor you must change your power usage habits and mostly do everything in the day . It makes it very hard when we have 40 degree days and no relief at night so the Air Conditioning stays on of a night and destroys what the Solar has saved you in the day . Im hoping i can add Storage Batteries to this system when available.